The Perth Wildcats take on the New Zealand Breakers in game 2 of the NBL IInet Grand final series. If New Zeland get up it means back to back championships for the team which is huge for the franchise and backetball in new zealand. 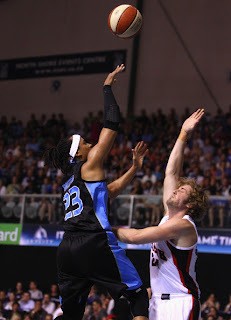 The breakers have had an unbeleivable season even without there star player from last season Kirk Penney. But the team they have this season could be said to be even better then what they won with last season. They play well as a team and have offensive throughout across the board. A lot of people are picking the Perth Wildcats to take this one making a third and final game back in New Zeland. The breakers have a had unlucky run going into the this series with players suffering from a sickness and injury (Abercrombie, Jackson). But they managed to get the job done at home but can they in probably they hardest away venue in the league. The Perth fans are knowledgable, loud and belligerent. They make it hard venue and the refs in most cases make it harder on that court. From the games iv seen the Wildcats are also probebly the most aggressive team in the league and arent afraid to foul, in fact the way they play it looks like they straight out foul and hope they dont get called. In the first game Damian Martin did a good job to contain Cedric Jackson but he managed to make a few when he got the switch on some good screens from Dyllon Boucher. If they can minimise they effect of these screens and martin can stay on Jackson it will greatly hinder his performance. But going into overtime MArtin was fouled out and Jackson was able to make some big assists to CJ Bruton to knock down the big three's he's so good at late in the game. If this was NBA Jam cj's clutch would be at least a 9 or possibly a 10. He is that player you want shooting the ball going into a close game with seconds left on the clock. I dont know how they stop him late in the game without opeing other player for the breakers for easy baskets. Can anyone stop the forcxe that is Kevin Lisch? He was the top scorer last game with a game high 27 points. 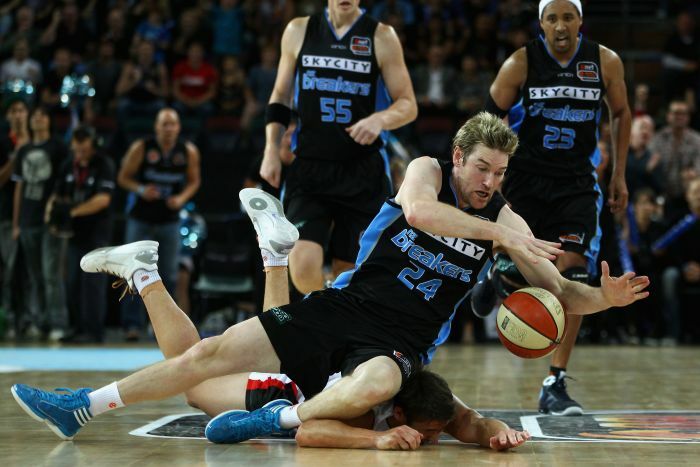 Last time the breakers played the Wildcats he also had 23. He is the man for the Wildcats but they cant put to much defense on him as this will open the copious amount of other offensive threats the Wildcats have. Whether its Jesse Wagstaff draining that 3 ball or Matt Knight and Luke Neville under that basket, then theres also the player I love to hate Shawn Redhage who is another threat inside and out. This will be another great game which i beleive and hope will again go into overtime. The refs did a very good job in New Zealand probably the best reffing iv seen all season and if they can maintain that it will be close one going in New Zealands favour by 3 in my humble opinion. But if the crowd sways the refs as iv seen so many times in Perth the wildcats will have it by 8.